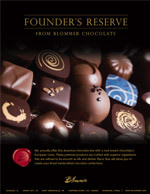 We proudly offer this American chocolate line with a nod toward chocolate’s European roots. 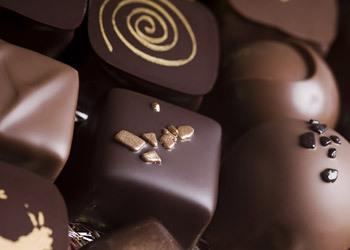 These premium products are crafted with superior ingredients that are refined to be smooth as silk and deliver flavor that will allow you to create your finest handcrafted chocolate confections. Contact your Blommer representative to help guide you to the right product for your particular application. A high impact semi-sweet with baked brownie and deep, dark chocolate notes. Our lightest milk chocolate handcrafted to highlight creamy dairy and caramel flavor with delicate chocolate notes. A precisely developed milk that packs a chocolate punch while delivering subtle dairy and caramel notes. A carefully crafted milk chocolate formulated to deliver a European-style dairy flavor that is perfectly balanced with cacao. A super creamy chocolate that melts in your mouth to deliver subtle dairy and caramel notes to compliment the chocolate intensity. A high impact semi-sweet with baked brownie and deep, dark chocolate notes, enhanced with notes of vanilla. A carefully crafted milk chocolate formulated to deliver a European-style dairy flavor that is perfectly balanced with cacao, enhanced with notes of vanilla. > View the Founders Reserve Ad.